Paid a $7.80 for it including shipping. It's a much CHEAPER option than anything else I've seen. you can also use the back of a large spark plug socket. <$7 at just about any auto parts store. Yeah I've read threads about using the back of a spark plug socket. Believe it or not, I couldn't find one! The tank strainer on my 83 takes a 46 mm open end spanner. I think the wagons are the ones that take that size. That's a pretty good deal for sure, I use a 22 mm nut with a 17 mm lug bolt welded to the inside of it. A standard short MB steel wheel lug bolt and the large 22 mm nut comes off the front LCA eccentric bolt on most of these MB cars. But if you don't weld or can get someone else to weld it up for you, the tool the OP found s quite nice at that price! Ha! 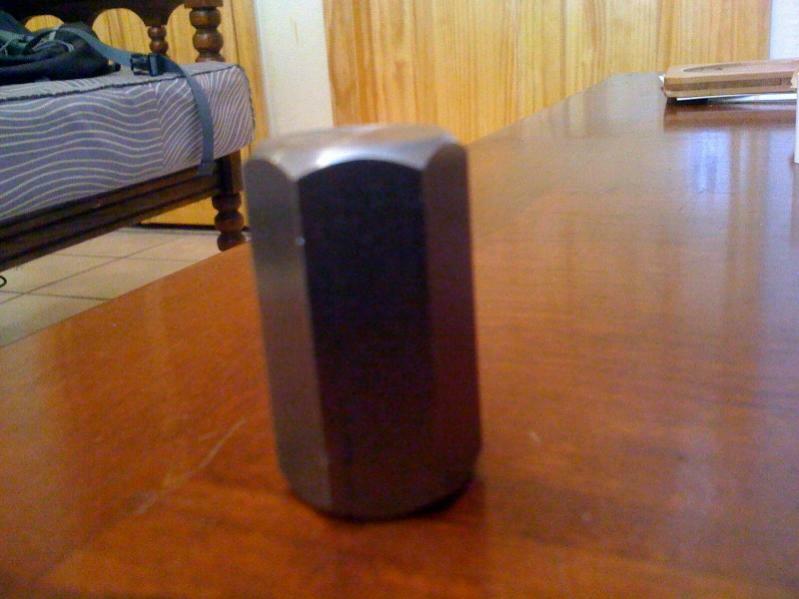 I will post a pic later of the tool I made from $1 worth of hardware, and a few minutes with a grinder. I purchased a 5/8 bolt and 2 nuts from Lowes/Home depot (your choice). Locked the 2 nuts together at the end of the short bolt. Ground a little off each of the 6 faces until it fit snug in the port in the bottom of the tank. I then used a large adjustable wrench and it loosened effortlessly. I just bought the 22mm allen wrench at cheapie freight for ten bucks. It wasn't a bad deal. I used the 22 mm nut comes off the front LCA eccentric bolt. I heated it and bent it 90 degrees. Done. Why would you bend the 22mm nut 90* ?